Purchase the book of clues, start researching, discover the location of the treasure! A series of challenging puzzles which cannot be solved in their entirety just by looking online. Some advance preparation from online sources will be needed but the quest can only be completed by physical visits to the specific locations. Get away from the keyboard and hunt for the treasure in real locations, walking the route and seeing the new and old in a different perspective. connections - to plug the gap we are currently running a solve at home treasure quest as a taster of our puzzles. Launched 14th February. CONSTABLE COUNTRY CHALLENGE, a multi-location treasure hunt for early summer break along the Stour Valley. Books available from Friday 3rd May. Closes 23:59hrs Sunday 7th July. Prize drawn 8th July. RIDDLE OF THE REDGRAVE HOARD . To coincide with the month that sees Suffolk Day an outdoor treasure quest in Redgrave Park, IP22 1RT. Tickets available from 1st May. Sat and Sun 22nd/23rd June. The Book of Clues for the closed Bury St Edmunds and Colchester quests are still available to purchase for a bit of fun. This is an unusual one for us. This series of challenging puzzles can be solved in its entirety just by looking online. We are publishing the first two clues as a taster. See image on the left. 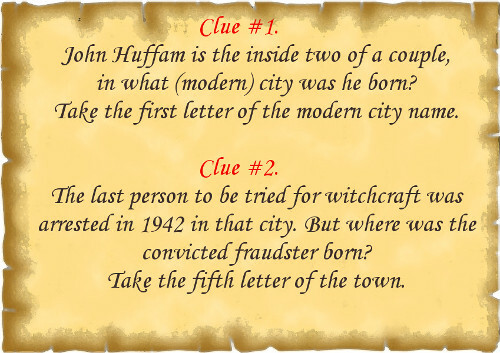 The answer to Clue 1 is the starting point for Clue 2, the answer to which is the starting point for Clue 3 and so on. There are 24 clues in the book to solve. Solve them all to unearth the hiding place of the treasure. All the answers and the final resting place of the treasure are to be found somewhere within Great Britain. Furthermore the prize pot starts at £100 and £2 from the purchase of each book of clues goes into the pot. The more books sold then the larger the prize. Closing date is 23.59hrs, Sunday 12th May 2019. Draw takes place 12noon Monday 13th May. Priced £25 but first 25 copies reduced to just £20. This is a live treasure quest which can only be solved in its entirety by visiting the city and hunting for clues.One cash prize of £200. Closing date is 23.59hrs, Sunday 5th May 2019. Draw takes place 12noon Monday 6th May. Just because you have never visited this town before it doesn't mean you will be massively disadvantaged. The puzzles have been crafted in such a way that visitors have as much chance as long term residents. 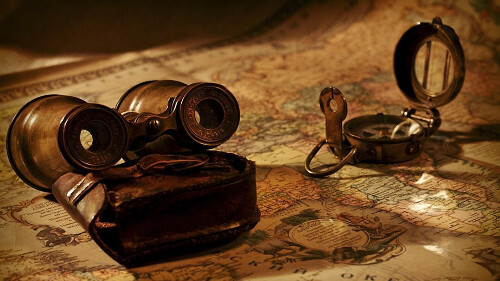 Any treasure hunter with observational skills and lateral thinking can take part and have fun. When you receive the book of clues it would be a good idea to read it through thoroughly. There are no red herrings; everything in the book of clues will be relevant to your quest. Use traditional methods of research and all the means of modern technology to try and gain some insight. Some clues are possible to solve using the web. Plan to visit the town itself during daylight hours to confirm answers you may have found using online material and to visit those places which you cannot visit online. The answers will be found in easy to access public spaces. No need to venture onto private property but some clues might be inside public buildings. There is no prize for completing the quest in the quickest time. This is not a race. All correct entries have an equal chance of winning. Entries must be submitted by email or using the online form in order to reach us by midnight of the Sunday closing date. All the locations are within easy to reach public sites. No need for scaling walls, delving into crypts or any real digging amongst historic ruins! Please be careful when crossing busy roads and walking along river banks and tow paths which may be wet and slippery. You are responsible for your own safety. Please respect private property, places of worship and places of memorial. We have deliberately selected towns and cities which are by nature genteel, safe and hopefully welcoming to all treasure hunters. Please support local businesses, take your litter home and have FUN! Remember this is a game, there is no hidden stash of treasure that requires digging up! 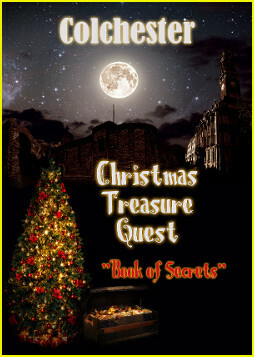 The treasure can only be uncovered by solving the puzzles and submitting the answer online. The Bury St Edmunds prize Quest has now closed but you can still purchase a Book of Clues for fun. 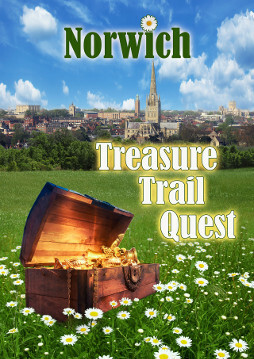 A treasure quest in Bury St Edmunds, Suffolk - PDF version. Reduced from £25 to £10. The Colchester prize Quest has now closed but you can still purchase a Book of Clues for fun. 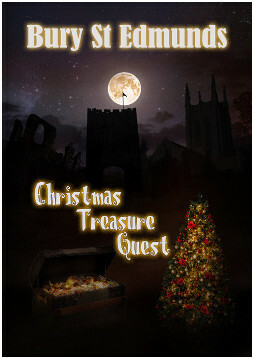 A treasure quest in Colchester - PDF version. Reduced from £25 to £10. Sign up here to receive a free weekly puzzle delivered to your inbox, every Wednesday lunchtime. A wide range of themes and different levels of challenge. Mostly for fun but some will offer prizes. This treasure trail quest (i.e. the competition) is open to residents of the UK aged 18 or over except employees of the Promoter, their families, agents or anyone professionally connected with the promotion. 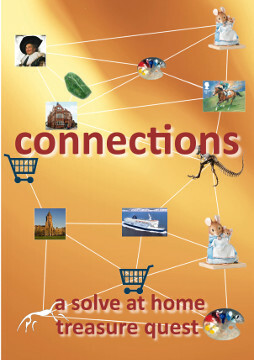 The closing date of the current connections solve at home Quest is 12th May 2019. A purchase of a book of clues is necessary to enter the competition. The cost per book is detailed above. Only one entry per book of clues purchased is permitted. Entry must be made by the online form on this website or by direct email to steve@ttqevents.co.uk Responsibility is not accepted for entries lost, damaged or delayed as a result of any network, computer hardware or software failure of any kind. Proof of sending will not be accepted as proof of receipt. The promoter of the competition is the East Anglia Puzzle Room, operated by Steve Blake with an administration address of Chestnut Cottage, The Coach House, New Waters, Wortham, IP22 1QH who will appoint an independent objective adjudicator to randomly draw winning entries from correct competition entries. There is one cash prize which is determined by the number of books sold. In the event of any dispute the decision of the Promoter is final. No correspondence will be entered into. The winner will be notified by e-mail or phone directly within 24hrs of the final closing date. The winner must claim his/her prize within 30 days of the notification. If the prize is unclaimed in this time, it will lapse and the Promoter reserves the right to offer the unclaimed prize to a substitute winner selected in accordance with the promotion rules. The winner's details (name and town/county) will be published online. The Promoter may use the information you supply for future promotional activities in accordance with General Data Protection Regulations. The winner may be required to participate in publicity arising from or associated with this promotion. Use this form to submit your answer to either of the quests. You must provide the unique serial number found on the rear cover of the Book of Clues you purchased. Entries without a serial number or an incorrect serial number will be rejected.